Brian Blum, a technology journalist, characterizes the Israeli company Better Place as “perhaps the most spectacularly failed technology startup of the 21st century” in his novel-like business story, Totaled. Blum tells the tale of the irrepressible, charismatic Shai Agassi, who started Better Place in 2007 with a unique if somewhat implausible goal: to reduce the world’s dependency on oil by creating electric cars with batteries that would be switched out by robots rather than recharged. In a book that breathlessly relates the wild ride of a startup whose audacious goal far outpaced its ability to deliver, Blum masterfully traces the rise, evolution, and eventual fall of Better Place. While it introduces numerous players, its most intimate look is at the visionary Agassi—as compelling an antihero as found in any technology thriller. It is Agassi who charms major international investors and national leaders, including Israeli president Shimon Peres, negotiating a partnership with Renault to build the electric car needed to turn his improbable idea into reality. The book’s as-it-happens narrative makes for riveting reading. 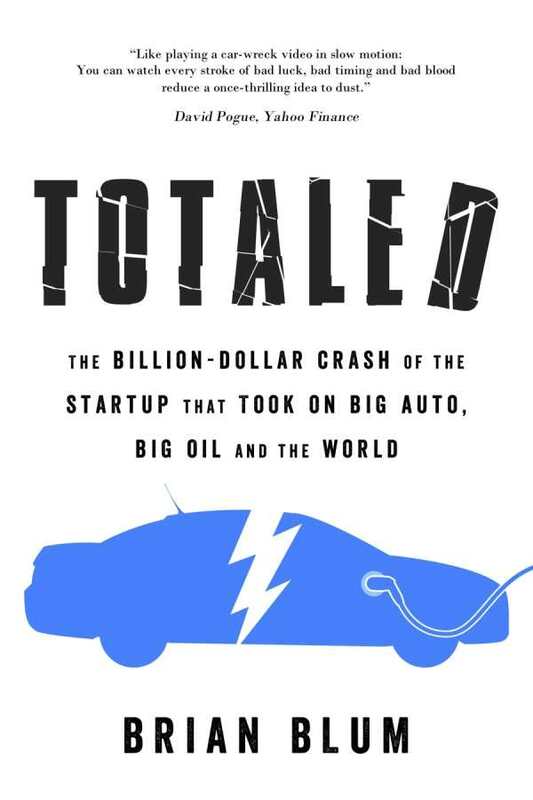 Given the very current interest in climate change, Totaled is all the more compellingly relevant, as it uncovers the technological difficulty of developing potential solutions to the world’s most serious challenge. It is fascinating to witness a promising, well-funded company fall prey to hubris, poor execution, and economic calamity. Blum’s insightful seven lessons at the end of the book offer valuable cautionary advice for startups.